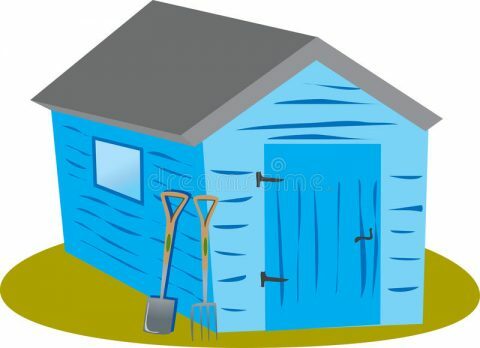 A blog about all things you can do in a shed, including reviews and advice about life, all from the comfort of a shed. I had always admired and collected edge tools like axes, despite their simplicity, they are more complex than they seem. The material has to be tough to withstand impact forces, and at the same time hard enough to hold an edge. They have to be well made and fitted to be comfortable and effective in use, and robust enough to last its working life. I have always had a soft spot for axes, they are one of mankind’s oldest machines and even today despite all the power tools we have, you can find an axe in any hardware store. For some jobs, an axe is hard to beat, especially when you don’t have access to power or power tools. The axe is deceptively simply, it may look easy to swing and chop stuff with, but it does require skill to properly wield and to get the most out of it without damaging the tool or hurting yourself. The axe has played an important role in mans development, both serving as a weapon and tool alike. Today, axes serve more as tools rather than as a weapon (as far as I know), today, they come in a wide variety of shapes and sizes, and are made up of various materials, such as glass reinforced plastic and stainless steel. In this review I will be looking at the Aldi Camp Hatchet with Hammer. Aldi Camp Hatchet with Hammer. Comes with a blade pouch with Velcro strap and a strap with button snap on fastner. The Camp Hatchet with Hammer bears a strong resemblance to a tomahawk or a Viking axe. Considering its size and weight, it would make an ideal weapon in a Viking raid. However in this review, I am just looking at the Camp Hatchet and Hammer as a tool and not as a weapon. The packaging does not state what type of stainless steel it is, considering its price point I would guess that it is 440C stainless steel. While not the hardest or toughest material, when properly heat-treated 440C stainless steel is a good material that provides a good degree of hardness, toughness and still reasonably resistant to corrosion. The handle has grooves to improve grip, and features a paracord lanyard. The axe head is secured to the handle via three button head screws. The handle has two small protruding bulges which I cannot work out what they are for. They might aid in grip when you are choking up on the handle the additional control, however, I think they are rather pointless and they are just there for decorative reasons. The hatched head has a metallic stone washed finished, that gives it a worn rustic look that makes it really attractive. If it were not for the plastic handle, this would not seem out of place on either a medieval battlefield or a Viking raid. The blade pouch is made of cordura, that is reinforced with rivets and uses a two straps (one Velcro and on snap on button fastener) to secure the Camp Hatchet with Hammer. The belt loop is a simple strap, however it looks flimsy and I would not carry this on my belt, furthermore due to the arrangement of the Camp Hatchet with Hammer to the blade pouch, together with the two straps make it an awkward carry. In my opinion, the blade pouch is more suited to storage rather than a means of carry. Overall the fit and finish of the Camp Hatchet is excellent and upon first impressions looks like a good buy for $20. I decided test out the Camp Hatchet with Hammer with some unscientific testing. I used it to chop a few fallen tree branches and to split a few logs. I also used the Camp Hatchet with Hammer to chop a thick gum tree log, break a few rocks, and hammer some nails into a tree stump. After those minor task, the Hatchet seemed to help up well. Next I decided to do some abusive testing, I struck the hatchet against an old tree stump and I used the hammer head end to smash up a log. Again the hatchet held up with no issues, upon further inspection, there was no sign of ply between the hatchet head and handle. There were some minor scruff marks on the hatchet head, but those marks were easy to clean off and remove. In conclusion, the Aldi Camp Hatchet with Hammer is an excellent tool for $20 and definitely ideal to have as a camping tool for chopping small trees, splitting logs and performing camp chores such as hammering tent pegs. Considering this price point and levels a quality, this is a definitely a must have for the camper, household or prepper. Previous Previous post: Tool Review: Stanley Socket Set – 1/4/3/8 Drive, Metric, 40 Piece, Black Chrome.